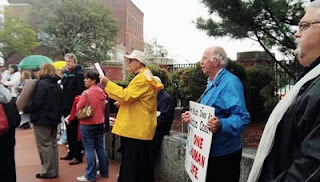 By Ted Turner: On Monday, September 27, 2010, Planned parenthood of Fitchburg, MA held its "Grand Opening". 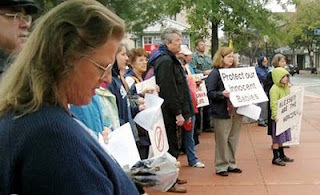 Pro-life activists, concerned citizens, and local religious leaders gathered to voice their opposition to the new facility which will distribute the abortion pill and refer for abortions. 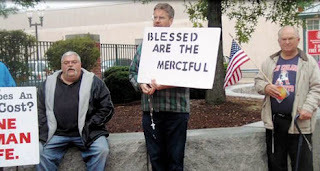 There were more people present opposing the event than supporters. 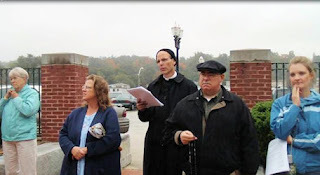 We prayed a scriptural rosary. It was led by Rev. 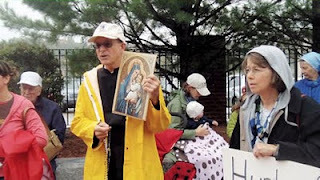 James Doran, OMV and Rev. David Phillipson (St. Joseph's Parish). We also prayed the Litany or Loreto. We were there from 11:45 to about 1:15 - the main time being from 12 to 1. 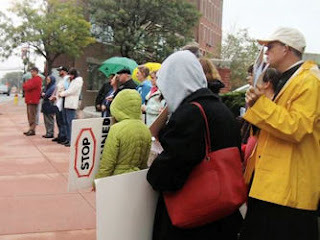 Below are photos in chronological order taken by Leila Lawler are of the people rallying against the event. Those of who stayed to the end were nicely rewarded - see the caption on the last photo. The icing on the cake. 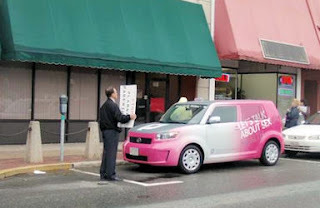 PPmobile gets a parking ticket. 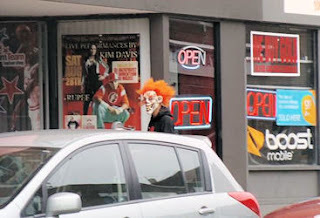 FRC Washington Update: Today marks a dark 10-year anniversary. 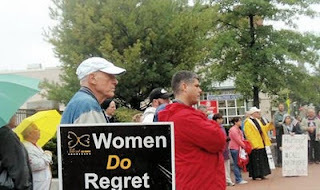 On September 28, 2000 , the Food and Drug Administration approved Mifepristone, popularly know as RU-486, the one FDA-approved drug in the U.S. specifically for abortion. 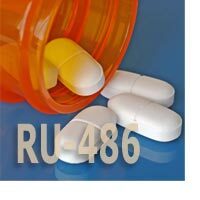 At the time, the approval process of RU-486 was politicized, rushed, and flawed. 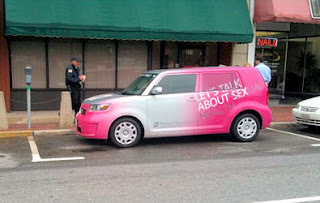 Sadly, women's health has suffered as a consequence. For an in-depth review of the FDA approval of RU-486, don't miss Dr. Chris Gacek's pamphlet, Politicized Science. 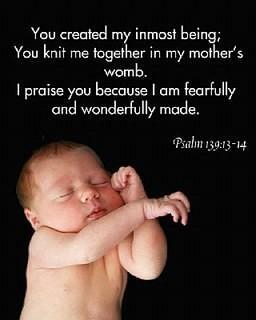 Over the course of the last 10 years, thousands of babies and at least eight women have lost their lives to RU-486. While originally hailed as medical progress, the reality is that the FDA received over a thousand adverse event reports related to the drug, many involving blood transfusions, hospitalizations, and deaths. For information about the debate, check out Jeanne Monahan's op-ed, "RU-486: Ten Years After," published today in Human Events. Family Research Council: As we previously reported, on August 13th the Food and Drug Administration (FDA) quietly announced approval of a new prescription abortion drug called "ella," allowing Watson Pharmaceuticals to market this drug in the U.S. as an "emergency contraceptive" (EC). While proponents of ella claim that it is more effective than the so-called "morning-after-pill," Plan B, ella can also function as an abortion drug (more like RU-486). Ella is similar in its chemical make-up to RU-486 and therefore can destroy an implanted embryo, in addition to other such effects as preventing fertilization or preventing implantation. Until now, the FDA has drawn the line between EC and abortion based on whether a drug prevents or ends an established pregnancy. Therefore, approving ella as an EC even under its own definition of an abortifacient is doubly misleading. Due to the FDA's approval of "ella" as an EC, pharmacists may believe they must cover ella as a prescription drug. 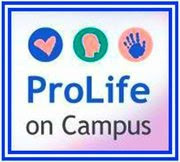 However, many pharmacists do not know about the dangers of this drug or that it functions like an abortifacient. Many pharmacies may not know ella can cause an abortion, and need to be aware of these concerns before they begin stocking this abortion drug. 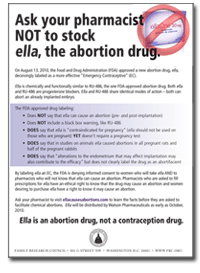 To educate pharmacists around the country about this new abortion drug and shed light on its dangers, we ask you to download this informational flyer, take it to your local pharmacy, and respectfully ask your pharmacist not to offer the ella abortion drug.